Yesterday, I gave a short presentation about website design and online marketing to students in Cromwell. 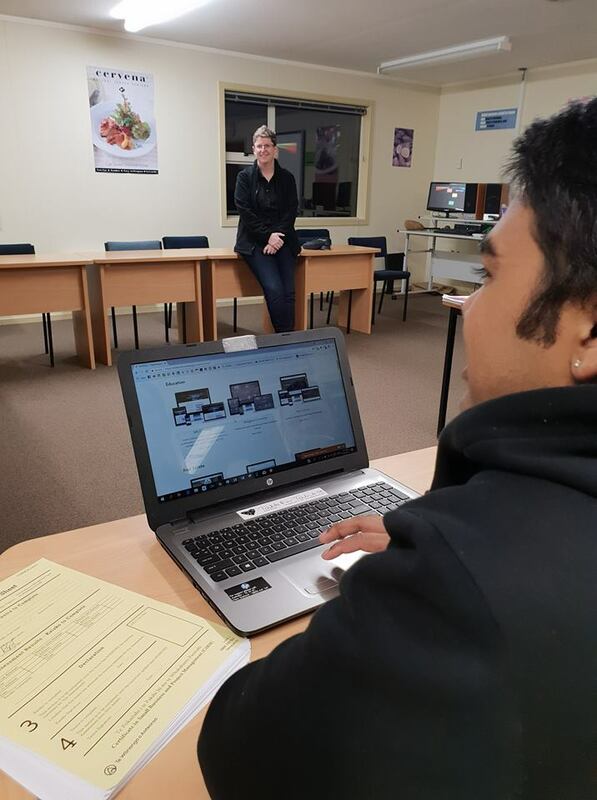 They were attending a business course run by School of Thought, and as new and potential small business owners, they were pretty keen to learn more about how to promote their business. For me, it was an ideal opportunity to get back into the classroom and share some of my knowledge and business and marketing. what should be included on a website? why use a website designer? and it was really interesting to hear the students comment on their own experiences with websites when trying to find information or contact a local company! The group were not surprised to hear that 50% of small businesses do not have a website, as that is often the case with local builders and other tradies. Some stated that they would not contact the tradie if they didn’t have a website. If there was only a landline as a contact number, and a home address listed on a business directory, they didn’t want to call a ‘home number’, and also had no idea of the services they offered, or recent projects they had completed to see their workmanship. The next half of the presentation was set aside for questions and answers, and here the group asked more in-depth questions about SEO, how to make a good impression online, how to get testimonials (and best practice to use them! ), and certain functions of e-commerce. What was originally scheduled as a 30-40 minute talk, lasted 90 mins! I had a great time, and I hope the students came away with some interesting and useful insights about web design.